Hair - Line Surface Polish Machine For Stainless Steel Sheet (YHA-9450, YHA-9440, YHA-9420, YHA-9210) - Yang Hsiang Precision Machinery Co., Ltd. It starts to brush the surface with satin brush roller & transfer by the worm & gear to the transfer clamp, rubber rolls. Then hair-line by the emery cloth roll, press by one or many roll to make the hair-line comes out and make it beautiful shining. Total line must combine laminator. The satin brush roller number could be order is customer need. The hair-line process could be change by customer weep. 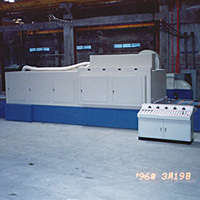 The press-load of the brusher can be setting. 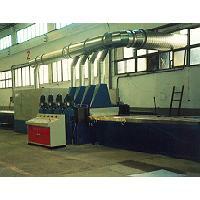 The outlet's laminator could supply manual cutting & auto-cutting type. 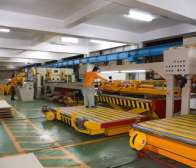 Whole line including table lifer, conveyor, main machine.